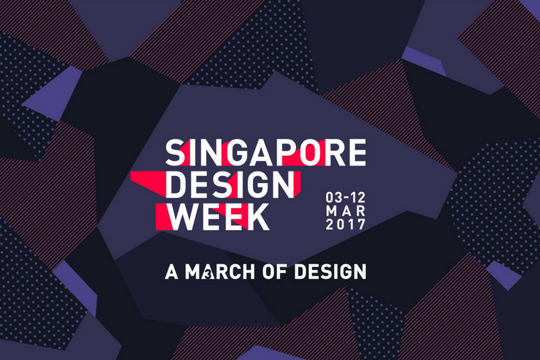 Singapore Design Week 2017, the fourth edition, assembles more than 80 local and international design events and activities, including exhibitions, conferences, design trails and workshops. There's something for audiences of every age. National Design Centre and various locations. Save the date: 3–12 Mar. Innovation by Design Conference, a Singapore Design Week 2017 key highlight, will feature prominent international and Singapore design, business and public sector leaders sharing their insights on design as a key driver for innovation. Save the date: 7–8 Mar. The Path To... is a publication that examines the lives of persons with disabilities; and how design can help them achieve greater independence and engagement with the community. Commissioned by DesignSingapore Council. 10 Mar, National Design Centre. Register by: 28 Feb 2017. Take stock of our milestones, share our goals for design, listen to and bond with kindred spirits. Join us for inspiration talks by three presenters. 9 Feb, National Design Centre. (16 Feb) for global F&B trends and user insights. Closing date: 14 Feb 2017. Video games can change the world and influence the way future cities might be built. View the Singapore premiere of the film Gaming The Real World. 23 Feb, National Design Centre.